In this earlier note, I refer to the automated e-mail that you’ll get if you e-mail me asking to find a geographic alternative for a particular 1890 / 1850 / 0818 number. This e-mail provides some tips on how to seek out a geographic alternative number without my assistance. If you do manage to find it, it’d be great if you e-mailed me back to share what you found so that I can share the information with everyone else. If you’re sending geographic alternatives, I will update the website asap. If your’re asking about alternative, can you please first check this web page – http://bit.ly/krHGPD – if it’s there, then I cannot find an alternative. 1. Go to the Contact page on the website of the company, find the number you have now. Is there a “from abroad” number? 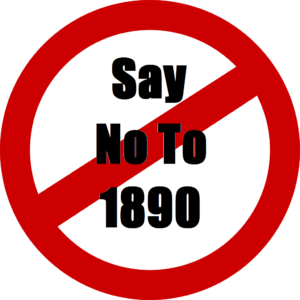 Companies provide these numbers also while promoting their 1890, 1850 or 0818 numbers. 2. Do a Google search for the number. Sometimes other websites will provide alternatives for numbers. 3. If you haven’t sent me the 1890 / 1850 / 0818 number, I won’t be able to find an alternative. Please do so now. If you’ve found the number, e-mail me I’ll share it with others. If not, please bear with me. If I can find it, I’ll let you know. And if I can’t, I’ll ask the website users if they can help. Many thanks for using SayNoTo1890.com. This is not a telephone directory website – it will not have every number that you’re looking for. If you can’t find it, you can e-mail me and if I have time, I’ll try to find it. When you e-mail me, you’ll get an automated response with instructions on how you may be able to find geographical alternatives yourself. If you follow those instructions, and find the alternative number, it’d be great if you could e-mail me back with the details and I’ll share them with everyone. If you are e-mailing me looking for a number, the odd “please” or “thank you” wouldn’t go amiss. I do this in my spare time, at my own expense so, in the meantime, I save myself the grief any more by ignoring you. There’s no point e-mailing me with your own business’ phone number. This is not an advertising website – much less, a free one. If you run a business and provide an 1890, 1850 or 0818 phone number, you’d be providing your customers a much better service by deleting those contact details from your website and just providing a regular phone number – leave out the middleman.